The Cosentino Group currently distributes its products and brands in more than 80 countries, from its headquarters in Almeria (Spain). 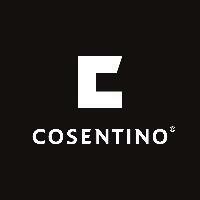 Currently Cosentino is present in 32 countries, with its own assets in 27 of them. The group has 7 factories (6 in Almeria (Spain and 1 in Brazil), 1 intelligent logistic platform in Spain, and more than 120 commercial and business units throughout the world. More than 90% of Cosentino Group’s consolidated turnover comes from international markets, what makes Cosentino the most internationalized Spanish company according to the Leading Brands of Spain Forum (FMRE, Ed.2015). Silestone® by Cosentino, world leading brand for quartz surfaces, is a material made of 90% natural quartz. Silestone® surfaces are highly stain, impact and scratch resistant as well as having a low liquid absorption rate. This material also features exclusive bacteriostatic properties for determined colours, numerous guarantees and certifications, and is supplied with the high level of service, quality and responsibility that is common to all Cosentino Group products. Silestone® is manufactured in over 60 colours, three textures and various formats making it very versatile; it can even be applied in large, joint-free pieces. It is the perfect material for use in a great many applications in kitchens and bathrooms as well as for laboratories, hospitals, hotels, restaurants and other professional uses. This brand also includes one of Cosentino innovations of the past years. Silestone® Eco Line is manufactured with at least 50% of recycled materials which include postindustrial and postconsumer porcelain, glass, mirrors and vitrified ash. These recycled raw materials are mixed with a blend of quartz, natural stone, pigments and exclusive partially vegetable resin. With this product, Cosentino for the first time brought together high-level design and a series of special features and properties with a truly ecological and sustainable component in one decorative surface. Silestone® Eco Line is is “Cradle to Cradle” certified and in 2011 Cosentino Group obtained an Environmental Product Declaration (EPD®) for the life cycle and carbon footprint of Eco Line, which shows Cosentino’s efficiency in terms of raw material and energy consumption as well as reducing waste generation. Silestone® features in some of the world’s most singular buildings such as the Burj Al Arab Hotel in Dubai, London’s Wembley stadium, the Agbar Tower in Barcelona and the Telefónica Flagship shop in Madrid. This surface has also been used by prestigious designers and architects, such as brothers Fernando and Humberto Campana in the creation of the “Shaping Silestone” unit, or the architect Daniel Libeskind for his “Beyond The Wall” installation made entirely out of Silestone in “Suede” texture. During 2015 Cosentino celebrated the 25th anniversary of the launch of Silestone.Cosentino Group is a global family-owned company that produces and distributes high value innovative surfaces for architecture and design. Dekton ® by Cosentino is an ultra-compact surface developed exclusively by the Cosentino Group R&D department. The Dekton®’s worldwide launch was in 2013. It involved 22,000 hours of research. Dekton® offers decoration in volume, large format slabs, and infinite design possibilities. In addition, the material allows for absolute personalization, becoming the perfect ally of designers and architects. This personalization can be obtained through two different technologies: engraving and inkjet printing. Dekton® currently offers a total of 22 different tones, divided in four collections: Solid Collection, Natural Collection, Tech Collection and Wild Collection. Dekton® references are divided in five main collecitons: Dekton®Solid Collection, Dekton® Natural Collection, Dekton® Tech Collection, Dekton® Wild Collection and since 2016 the new Dekton® XGloss Solid Collection. Dekton® XGloss are the new line of high-tech polished Dekton® ultracompact surfaces, which offer a dazzling and crystalline brightness and unique hidrofugant properties. This is achieved through a pioneering nanotechnology treatment called “Nanocoating Process” and through an advanced mechanical polishing process. Dekton XGloss has obtained Red Dot Award: Product Design 2016.